My friends in Christ, greetings and blessings to you as we pray, meditate, and walk with Christ during this Holy Week. Time flies. It is Tuesday in Holy Week already. As I was working on the several services for this week and Easter, it occurred to me to point out a few important things about Holy Week and Easter. For me, without Holy Week, there would be no Easter. That is, without our Lord’s crucifixion, there would be no resurrection. Another way of saying this might be that without true pain, there would be no true Joy of New Life. True pain occurs when we are able to walk the walk with Christ, trying to imagine and feel the pain He went through this week. He suffered such pains as abuse, false accusations, ridicule, torture, insults and finally, the agony and pain of being nailed alive on a wooden cross. It is more poignant for us to also remember that Our Lord freely suffered all this because of His sacrificial LOVE for you and me. We should not only feel our Lord’s pain, but our own as well, by honestly giving ourselves, and all that impedes us from being faithful and closer to God; to die on the cross with Him. It is when we can truly feel His pain, our pain, to die with Him that we will truly resurrect with Him on Easter Day. The power and gift of the Resurrection is given by God, based on God’s ongoing LOVE for us. We are given this New Life through God’s love to start anew, to be the Light of Christ to the world. We are given the power we need to be Light of Christ to the world through the resurrection, that is, the power of the Holy Spirit. In this New Life we become a Resurrected People, as well as a Resurrected Church. We must become the Light of Christ to the world. We must forgive all who offends us as well as accept the forgiveness of all those we offend. We must love all other by seeing the Christ in them. We must be hospitable by inviting, welcoming and connecting with all whom we come across. We must love God with all our souls, strength, mind, and spirit. We must also live a lifestyle that exemplifies love for our neighbors as ourselves, irrespective of who they are. We must always give thanks to God for all of His blessings freely bestowed on us daily. Most importantly, we must live a lifestyle based on our Baptismal Covenant. 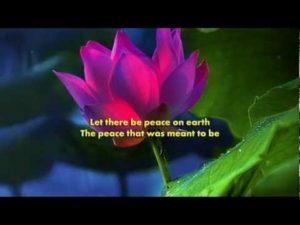 Above all, let us accept this powerful, enriching and gracious love from God, bask in it, thereby allowing it to flow through us to others in ways which will bring us all closer to God. Through this Love, let us love one another as God Loves us, irrespective of who they are, where they come from, what they look like, and regardless of their color, remembering that we are all created by the same by God. Finally my friends in Christ, let us truly welcome the gift of this New Life, with happiness and joy, giving thanks to God for His ongoing love for us. 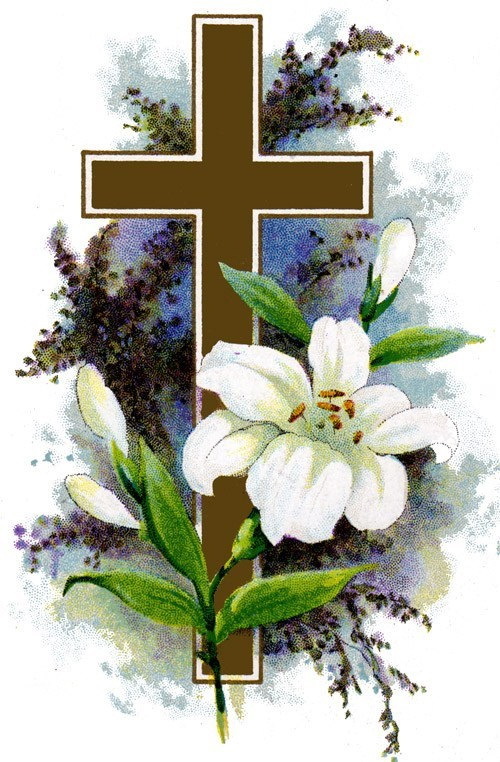 May we as individuals and as a Church be ever blessed by the joy of Easter and all the blessings that come with it. Amen. ¡Saludos y bendiciones mis queridos hermanos y hermanas en Cristo! Cómo vuela el tiempo, parece que acabamos de recibir en el año nuevo y aquí estamos ya más de la mitad del segundo mes de 2019… y contando! Mientras seguimos contando nuestras bendiciones, reflejamos que todavía tenemos mucho que agradecer a Dios, ya que continuamos nuestro viaje juntos este año apoyándonos en la guía del Espíritu Santo para trazar nuestra dirección. Buenas noticias de hecho. Sin embargo, ambos hemos reconocido que no podemos esforzarnos por descansar en nuestros logros, pero debemos permitirles que nos inspiren a continuar seguir adelante bajo la guía del Espíritu Santo, nuestro amor por los demás y por esta iglesia que todos amamos. Mirando hacia adelante, el mes que viene comenzaremos nuestra temporada cuaresmal el 6 de marzo, miércoles de ceniza. En un par de días publicaremos un calendario completo de todos nuestros programas cuaresmales que conducen a la Pascua. Espero y ruego que todos ustedes se esforzarán por participar en todos, si no, en la mayoría de los eventos ofrecidos. Nuestro tema cuaresmal de este año es “una manera cristiana de pasar de la muerte a la resurrección”. Basándonos en Quiénes somos como cristianos, Miraremos el tema de la muerte, biológica, filosófica, física y espiritualmente. ¿Cuáles son los efectos de cada uno de estos aspectos individuales sobre nosotros, y cómo manejamos las situaciones de una manera que nos conduzca a la resurrección. Si usted piensa en ello, St. Edwards pasó por un período que podría describirse como morir (muerte) y ahora está experimentando un período de rejuvenecimiento o resurrección. Terminaremos la serie semanal examinando el significado de la resurrección y cómo vivir una vida centrada en la resurrección—con los desafíos inherentes que plantea, puede cambiar y mejorar nuestra perspectiva como cristianos. Por favor, recuerden que siempre están bendecidos con el amor y la gracia infinita de Dios, sean un recipiente dispuesto para este amor, lo acepten, se deleiten en él y lo compartan de manera significativa y fiel con los demás. Greetings and blessings my dear brothers and sisters in Christ! How time flies, it seems that we just welcomed in the New Year and here we are already more than halfway through the second month of 2019… and counting! As we continue to count our blessings we reflect that we still have a lot to thank God for as we continue our journey together this year leaning on the guidance of the Holy Spirit to chart our direction. Good news indeed. However, we both acknowledged that we cannot effort to rest on our achievements but must allow them to inspire us to continue to move ahead under the guidance of the Holy Spirit, our love for one another and for this Church which we all love. Looking ahead, next month we will be starting our Lenten Season on March 6th, Ash Wednesday. In a couple of days we will be publishing a complete full schedule of all our Lenten programs leading up to Easter. I hope and pray that you will all endeavor to participate in all, if not, in most of the events offered. Our Lenten Theme this year is “A Christian Way of Moving from Death to Resurrection.” Based on who we are as Christians, we will look at the issue of death, biologically, philosophically, physically and spiritually. What are the effects of each of these individual aspects on us, and how do we handle situations in a way that will lead us to resurrection. If you think about it, St. Edwards went through a period that could be described as dying (death) and is now experiencing a period of rejuvenation or resurrection. We will end the weekly series by looking at the meaning of resurrection and how living a resurrection-focused life —with the inherent challenges it poses, can change and enhance our perspective as Christians. Please remember that you are always blessed with God’s infinite love and grace, be a willing vessel for this love, accept it, bask in it, and share it meaningfully and faithfully with others. What a glorious 50th Celebration!!! All the activities before the Gala and the finale, that is, the finale on Sunday October 14, made all of us at St. Edward’s proud and thankful to God. God has truly blessed us for the last 50years. Let me use this opportunity once again to thank everyone who participated to make the events and the celebration meaningful and successful, especially the 50th Anniversary Celebration Committee. They were diligent in prayer and dedicated to every detail, with faith that all would come out gloriously. And it did! Let me also say special thanks to Fr. Fabio and our Latino Mission for their tangible contributions. For those who may not know, our brother and sisters from the Latino Ministry painted the Parish Hall and the Breezeway, manicured the grass, and jet-washed all the major buildings on the campus, at no cost to the parish. Thanks and praise be to our Gracious and loving God. 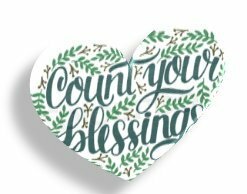 We have many good reasons to continue to count our blessings, because God continues to bless us abundantly. The challenging we face going forward and the question we need to ask ourselves as we begin the next 50 years is: how do we respond faithfully to all these blessings as well as look forward to many more blessings from God? First, I believe we have to continue to wrestle with who are we as a church, and of whom are we, and supposed to be, and what is God’s plan, mission for us as a Church? Let me once again share what I see and think — knowing full well– that what matters most is not what I think, but what we think together as a worshipping community. I see a church that is a true Ecclesia, that is, one that has almost all the faces of God’s creation, trying to live together in love and with love as God loves us. That is a relationship that demands and entails a sacrificial love for one another irrespective of who we are, or how we look. This is, of course, not an easy way to walk, yet we all know that it is what God calls us to do and be. This is an example of what I mean by finding out and facing the reality of who we are as Church. What does it really mean to be a Multi-Cultural Worshipping Community where everyone feels they truly belong? For those who may not know, we are one of the leading Churches in this Diocese that can genuinely claim a rich multiculturism. This is a great blessing to us all. This is a well- known fact in our diocese — and not surprisingly, there are some churches that are curious and want to learn from us. The other important aspect of who we are and of whom we are is that we are called to be the light of Christ to our neighbors, families, community, and the world. With our multicultural diversity we should be able to spread Christ’s light to the ends of the earth. So from my perspective, not only are we blessed, but we already have many gifts, talents and time to faithfully respond to our blessings in significant ways for the next fifty years. 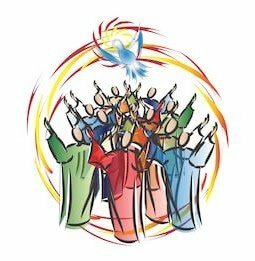 So my friends in Christ, as we move forward experiencing upcoming events in the life of the Church Universal, and our part of it as St. Edward’s, let us cherish the events, see them as God’s continual blessings and a challenge for us to respond to faithfully. 1. Our Harvest Ingathering, with the Taste of St. Edward’s cuisine and luncheon. 2. The season of Advent that starts on first Sunday in December. 3. The ingathering of our Stewardship Campaign on December 2nd when we bring for to the altar our pledges of Time, Talent, and Treasure to a loving God who continues to bless us with our faithful response of THANK YOU. 4. But most important of all is the season of Christmastide, when we expect and welcome the greatest gift God can ever give us, that is, God Incarnate through our Lord and Savior Jesus Christ. For me each of these events is a reminder — and evidence of God’s continual blessings, that challenges me to faithfully respond as I share the blessings with all persons I meet. Lastly, but certainly not the least, Jean and I truly appreciate and thank you for your love. We recognize and accept this love as part of our blessings. THANK YOU! We also like to say that we truly love everyone in our parish and our worship community. May our gracious God continue to bless us all abundantly. Ysantificarás el quincuagésimo año y proclamarás la libertad en toda la tierra a todos sus habitantes. St. Edwards como parroquia tiene 50 años de edad … ¡GUAU! … desde una iglesia que comenzó en la sala de estar de Hal y Mary Kerkhoff en 1968 hasta la gloriosa dedicación del 16 de septiembre de 2001 como un Día de Acción de Gracias a Dios — a pesar de la horrible nube de ataques terroristas en el World Trade Center, el Pentágono, y el consiguiente accidente aéreo en Stonycreek, Pensilvania, que solo unos días antes había sacudido todo el país hasta el fondo. Todo el país se tambaleaba, pero esta pequeña comunidad tomó tiempo para reconocer que, en medio de una pérdida y destrucción catastróficas, nuestro Dios es un Dios amable y fiel que nos otorga nuevas misericordias diariamente y nos bendice con la vida, la fuerza y ​​la fe que nos permiten elevarse por encima de nuestra fragilidad humana y continuar buscando su rostro. Esta iglesia ha seguido sobreviviendo a la tragedia y la lucha, los altibajos mundanos que nos aquejan, los sacrificios que ni siquiera sabíamos que teníamos la fuerza para hacer, todo esto para alcanzar triunfalmente la edad madura de 50 años. ¡Qué bendición! De ahí mi título: Contando nuestras bendiciones. Nuestro gracioso Dios a través de su amor encarnado continúa mostrándonos el poder de su nombre “Emanuel”, es decir, ‘Dios con nosotros’. Mirando hacia atrás a través de todo lo que ha pasado esta iglesia, bien, y no tan bien, el miedo a cerrarse. a un proceso continuo de resurgimiento y crecimiento que ahora incluye una misión latina próspera, nosotros sabemos que hemos sido bendecidos. Al celebrar los últimos 50 años, tomemos un tiempo para reflexionar sobre cómo hemos sido maravillosamente bendecidos, hemos tenido la oportunidad de revisar lo que Dios ha hecho aquí con su pueblo. Hemos sido verdaderamente bendecidos con el clero que ha pastoreado este rebaño a través del sol y las tormentas. Hemos tenido algunos ministerios maravillosos y liderazgo laico, proyectos de servicio juvenil alegres, adoración inspiradora y compañerismo, todas estas bendiciones en los últimos cincuenta años… Sí … esto es lo que celebramos. Celebramos la fidelidad de Dios a su pueblo y ministerios de los últimos 50 años. Somos conscientes de la realidad. Como muchas otras iglesias, enfrentamos desafíos y un futuro incierto. Creemos que Dios no construyó nuestra iglesia solo durante los primeros 50 años. La supervivencia no es el único propósito de Dios para su iglesia. Elegiremos la luz de la vida sobre la oscuridad de la desesperación durante los próximos cincuenta años y brillaremos Su luz en el mundo. La gran pregunta es qué y cómo agradecemos a Dios por todos los miembros del clero y los laicos que han participado y siguen participando en el crecimiento continuo de San Eduardo. Para mí, la respuesta es que cada uno de nosotros, individual y colectivamente, como iglesia, debemos continuar siendo la “Luz de Cristo” para nuestra comunidad y para el mundo. En otras palabras, cada uno de nosotros debe vivir de tal manera que otros puedan ver la luz de Cristo brillando a través de nosotros. Así también nuestros ministerios aquí en St. Edward también deben reflejar esa luz a nuestros vecinos, nuestras comunidades y al mundo. Nuestro viaje aún no ha terminado. Debemos continuar trabajando juntos para construir esta iglesia para que se convierta en la bendición en el mundo que Dios pretende para nosotros al encontrar nuevas formas de hacer la iglesia, llegar a los perdidos y transformar nuestra comunidad y el mundo. Se puede hacer esto? ¡Absolutamente sí! ¿Por qué? Porque cada uno de nosotros ha sido bendecido con el poder del Espíritu Santo para guiarnos y guiarnos en todo lo que decimos y hacemos. Todo lo que necesitamos hacer es aceptar el poder y usarlo para la gloria de Dios, abrazarlo con un sentido de alegría, libertad y renovación. Todo lo que estamos llamados a hacer es sembrar las semillas y Dios las hará crecer abundantemente. St. Edwards as a parish is 50years old… WOW!… from a church that started in the living room of Hal and Mary Kerkhoff in 1968 to the glorious dedication on September 16, 2001 as a Thanksgiving to God — despite the horrific cloud of the terrorist attacks on the World Trade Center the Pentagon, and the ensuing plane crash in Stonycreek, PA, that only days earlier had shaken the entire country to the core. The whole country was reeling but this little community took time to acknowledge that in the midst of catastrophic loss and destruction our God is a gracious and faithful God who grants us new mercies daily and blesses us with the life, strength and faith that allows us to rise above our human frailty and continue to seek His face. This church has continued to survive tragedy and struggle, the mundane ups and downs that plague us, the sacrifices that we were not even aware that we had the strength to make – all of this to triumphantly reach the ripe age of 50 years. What a blessing! Hence my title: Counting Our Blessings. Our gracious God through His incarnate Love continues to show us the power of His name “Immanuel” that is, ‘God with us.’ Looking back at all this church has gone through, good — and not so good, fear of closing moving to an ongoing process of resurgence and growth that now includes a thriving Latino Mission us– we know we have been blessed. In celebrating the past 50 years let us take time to reflect on how we have been wonderfully blessed, we have had a chance to review what God has done here with His people. We have been truly blessed with clergy who have shepherded this flock through the sunshine and the storms. We have had some wonderful ministries and lay leadership, joyful youth service projects, inspiring worship, and fellowship — all these blessings in the past fifty years… Yes…this is what we celebrate. We celebrate God’s faithfulness to his people and ministries from the last 50 years. We are aware of the reality. 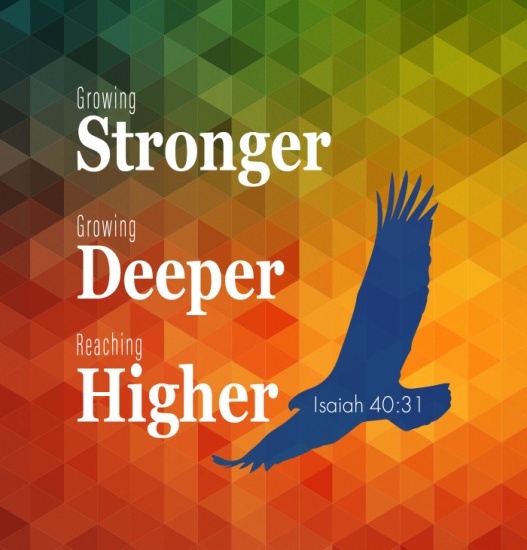 Like many other churches, we are facing challenges and a somewhat uncertain future. We believe that God did not build our church only for the first 50 years. Survival is not God’s only purpose for His church. We will choose the light of life over the darkness of despair for the next fifty years and shine His light into the world. The big question is what, and how do we thank God for all the Clergy’s and Lay persons who have participated and still participate in the ongoing growth of St. Edward’s. For me the answer is that each of us individually and collectively as a church must continue to be the “Light of Christ” to our community as well to the world. In other words, each of us should live in such a way that others can see the light of Christ shining through us. So also our ministries here at St. Edward’s should also reflect that light to our neighbors, our communities and to the world. Our journey is not done yet. We must continue to work together to build this church to become the blessing in the world that God intends for us by finding new ways of doing church, reaching out to the lost and transforming our community and the world. This year, as we celebrate our 50th year let us proclaim a new beginning of our ministry. God is calling us to this new adventure. As Jesus said, “The harvest is plentiful, but the workers are few. Ask the Lord of the harvest, therefore, to send out workers into His harvest field”. Can this be done? Absolutely Yes! Why? Because each of us has been blessed with the Power of the Holy Spirit to guide and lead us in all we say and do. All we need to do is accept the power and use it to the glory of God – embrace it with a sense of joy, freedom and renewal. All we are called to do is to sow the seeds and God will make them grow abundantly. “Cuenta tus bendiciones, cuéntalas una a una…” este himno antiguo nos recomienda… Pero somos conscientes de cuánto hemos sido bendecidos por la gracia infinita de Dios? Y si nosotros creemos que somos bendecidos… estamos viviendo una vida que es reflejo de estas bendiciones? Ahora que nos acercamos a la celebración de nuestro cincuentavo aniversario, este es un tiempo muy oportuno para contar nuestras bendiciones – y quizá reflexionar de cuánto nosotros pensamos que nos lo merecemos. Nosotros somos una iglesia construida aquí para vivir la palabra de Dios, para mostrar al mundo su amor, como ejemplos vivos de cuánto su gracia nos ha bendecido – a través del clero que El ha llamado a guiarnos, en los lideres laicos que El ha llamado dentro de nosotros, en nuestras vidas diarias, en nuestras familias, en nuestro trabajo y sí, incluso en nuestra diversidad. El salmo 78 recuenta las obras todopoderosas de Dios hechas al pueblo de Israel. El salmo comienza con un llamado a no olvidar las obras de Dios. El salmista cita el ejemplo de Efraín. Efraín falló en el día de la batalla, no porque le hacía falta armas, sino por el olvido que Israel hizo del milagro del amor de Dios y de sus obras. La falta de creencia del pueblo, su inhabilidad para confiar en Dios y contar sus bendiciones aun después de la milagrosa salida de Egipto y su bondad en el desierto del Sinaí. Dios continúa bendiciéndolos aún en sus infidelidades – su inhabilidad para confiar en su gracia salvífica. Es una derrota espiritual – la falta de fe y el rechazo a amar como Dios ama produce resultados desastrosos… Pero Dios nunca les vuelve su espalda – Aun cuando ellos a El lo abandonen. Alguno de nosotros merecemos una bendición? Por supuesto que no. Tampoco hicimos algo que mereciéramos la gracia. Es únicamente por la bondad de Dios y su gracia que El nos bendice, aun a aquellos que no lo conocen, así como Jesús dice que Dios “…hace salir el sol sobre buenos y malos, y envía la lluvia al justo y al injusto.” (Mtt. 5:45). También el Apóstol Pablo nos lo recuerda, “Qué tienes tu que tu no lo hayas recibido? Y si lo has recibido, por qué te enorgulleces como si este no fuera un regalo?” (1 Cor. 4:7) Pablo usa la expresión, “En Cristo Jesús” muchas veces. Dios nos ha sostenido y colocado en Cristo. En Cristo, hemos recibido ‘toda bendición espiritual’ (Ef 1:3). Nosotros sólo podemos sobre mirar las dificultades cuando contamos nuestras bendiciones, todo bien viene de Dios, y aún el mal en nuestras vidas es algo que Dios puede usar para el bien. (Gen 50:20) Contamos nosotros nuestras bendiciones? Amamos a los demás como El nos ama – en esta iglesia, en el mundo? Estamos enseñando a nuestros hijos sobre sus bendiciones en sus vidas, acerca de la obra milagrosa de Dios en el mundo –y, estamos mostrándoles a través del ejemplo el cómo ser vasijas de la gracia que se nos ha regalado? Con todo lo que esta iglesia ha vivido en estos cincuenta años pasados, debe ser suficiente para nosotros el contar las bendiciones que nuestro Dios de amor nos ha dado. Regocijémonos, demos gracia, dejemos ir todas aquellas acciones que nos hacen –y nos harán sentir las bendiciones como superficiales o falsas. Por el contrario, deberíamos contar las bendiciones en formas que nos hagan sentir el amor de Dios por y con nosotros, de tal modo que hagan de nosotros el verdadero ejemplo y la luz brillante de Cristo para nuestra comunidad, nuestra nación y nuestro mundo. Quisiera usar el mes de septiembre como un experimento para expandir nuestra fe en diferentes maneras. Las tradiciones de la Iglesia Anglicana son ricas y variadas, así que en este mes que iniciamos exploraremos juntos la liturgia de nuestra iglesia como es celebrada en algunas de nuestras Iglesias hermanas dentro de la Comunión Anglicana. Este experimento no es el anticipo a un cambio significativo sino que es una manera de vivir la gran riqueza de nuestra herencia Anglicana –otra manera de contar nuestras bendiciones al unirnos con otros de nuestra fe en todo el mundo. También experimentaremos con diferentes maneras de comunicarnos la paz y los anuncios. Siéntanse libres por favor, de compartir sus ideas acerca de estas nuevas iniciativas, conmigo, con el Consejo Parroquial (vestry) o los miembros del comité litúrgico. Al acercarnos a este hito en la historia de esta iglesia abracemos la fortaleza que nuestra fe nos ha dado para reflexionar de qué manera podemos bendecir a los que serán la iglesia de San Eduardo en los próximos 50 anos. In this time of uncertainty for many churches, St. Edward’s is celebrating 50 years! We encourage our members to invite friends and family to come and celebrate this once in a lifetime opportunity. Come join us to greet new and returning friends. Come home to St. Edward’s and share our story. If there is a reason you may not attend, such as cost, what to wear, unable to drive at night, prefer not to dance or listen to music, no one with whom you can sit at table, please note there are answers to these concerns! There will be a time for fellowship and eating before the music and dancing, there are ways to help find you a ride at night, there are many who will attend alone to welcome you at table, and there are ways to help with the cost. Please contact Fr. Gordon or Fr. Fabio if you need to be assured that this celebration is for everyone and, if at all possible, they will help remove any obstacle preventing you from making plans to attend! Fr. Gordon and Fr. Fabio can be reached through the office, 770-963-6128.